Travel around the country with the 2018 Forest River Georgetown 5 Series 31R Gas Class A Motorhome! Motorhomes 2 Go offers the best selection of motorhomes in the nation and we're located in beautiful Grand Rapids, Michigan. We specialize in Class C and Class A motorhomes and we carry only the best manufacturers! We excel in customer satisfaction because our goal has always been to help you find the motorhome of your dreams at a price you'll love! 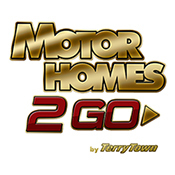 With the best selection at unbeatable prices, stop in today and drive away with your new motorhome in no time! We're conveniently located at 7303 Division Ave S Grand Rapids Michigan 49548 Let us turn your dream into reality! Don't worry if you don't live in the Grand Rapids area! We have great 24/7, door to door delivery! So go online and call us at 616-301-6920! Our friendly staff will show you how easy it is to own the motorhome of your dream!The 2018 Forest River Georgetown 5 Series 31R is built to be durable and strong. It sports a GVWR rating of 20500 lbs. and it has a hitch weight of 5000 lbs! This Gas Class A Motorhome sets up quickly, and the easy open 19' 0" ft. patio awning provides shade and UV protection for your outdoor living!Cozy up in the master bedroom's King bed! This comfy camper sleeps up to 5 people!When you're on the road, eating out all the time can get expensive and fill your family with high sodium, non-nutritious fast food! Ugh! Instead, take advantage of the great kitchen! It comes with a 3 burner cooktop that will let you whip up tasty and nutritious meals for your family! The 18.00 cu. ft. refrigerator can stock fresh veggies, meats, cheese, eggs, and more! The 82 gallon freshwater tank provides an excess of water to clean, drink, and cook with!